Oh, this was a FUN one! I rarely get to sew for my boys, so when I do, I LOVE it! The story behind this shirt is that I saw something kind of like it in my favorite kids' high end catalog and it was fantastic, but really too expensive for a holiday shirt that he'll wear a couple of times. So, I decided to make one. The problem was when I went to copy the idea a few days ago, the shirt had sold out and the image was no longer available! GULP! Okay, so I remembered the saying SHAM ROCK and I remembered it had a clover guitar, but that was it! So, this is what I came up with and I like it... a lot. Oh! And BTW-- did you notice the leg/arm warmers Keiran is wearing from my last TUTORIAL ? How ADORABLE do they look with that shirt?!?!?!? I LOVE it! 1. Start off with a plain polo shirt or T-shirt. 2. Print out guitar and words onto card stock. The font I used is called ALPINE. 3. Cut out letters and guitar. 4. Iron Wonder Under onto the BACK of the fabric scraps you are going to use. 5. Trace the letters and guitar onto the Wonder Under backing. TRACE THE LETTERS BACKWARDS!!! 6. Cut out the letters and guitar. 7. Iron Stabilizer onto the inside front of the shirt. This will make sewing A LOT easier, so don't skip this step! 8. Place letters and guitar where you want them to sit on the shirt. Remove paper backing and iron letters onto shirt- letter by letter. 9. Now grab your sewing machine! 10. Using a satin stitch (a stitch that makes a solid line of stitches), sew around the edges of all the letters. The needle should be going through the shirt and into the letter and repeating- half the stitch on the letter and half off. 11. Now, I wanted the guitar to look distressed and frayed, so I simply sewed around the guitar quite sloppily- twice. I also sewed a couple of random crazy stitches every now and again. 12. After sewing the guitar, I peeled up the edges of it and picked them apart and frayed them with a needle to give it a distressed look. Be careful not to harm the stitches though! 13. In this picture I show the inside of the shirt. You can see the two distinct styles of stitching I used. 14. After ALL the sewing is done, peel off the stabilizer. 15. Lastly, iron on the metal studs. It took a little time, but was easy. I hope you guys make one- I DARE you!!! How cute! We have our 15yr old special needs granddaughter with us for Spring break but maybe on Sunday she and her Poppy will head off to a movie and I'll get some time. That is BEYOND clever! And my son would love that! Now I am bummed that St. Patricks Day falls during Spring Break!! This one will be up on my blog on Monday!! Unbelieveably CUTE! Thanks for sharing your ideas- they make my day! That is so cute!! I'm totally making one for my son! 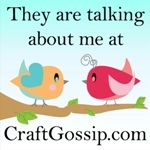 Thank you for sharing this with me and I'll be featuring!! Oh my, I wish I had spotted this earlier. Paddy's Day is tomorrow - and we are heading to the parade in Dublin, Ireland. My son wouldn't be seen dead in any Paddy-related outfit, but as a rock-fan, he would love this. So cool!!! Fantastic idea!!! I think yours looks fab...like it cost $40 or more. Really cute and different way to celebrate St. Patty's Day! love this shirt! 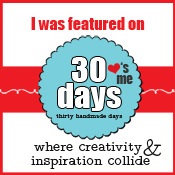 I am showing it off on my blog tomorrow at simplydesigning.blogspot.com Come check it out and please feel free to grab my "I've been featured" button! Thanks for the great idea! How do I publish short stories with other people's rock lyrics? I want to publish a collection on Lulu or some other book press and possibly give them away for free...but the stories have lyrics in them. If the books are free do I need permission? Otherwise how do I get it? This is really cute. Thanks for the great tutorial. I've seen this all over Pinterest today, it's so cute! Great tutorial! I have been wanting to make this shirt for 2 yrs. now. I am finally working on this shirt tonite for a St. Pattys day party next week. So adorable!! I too, would like to know where you got the metal studs. Thanks for the great tutorial!